Trae Young’s current hot streak has suddenly propelled him into Rookie of the Year consideration. Over the course of the first 11 games since the All-Star break, the Atlanta point guard averaged 25.7 points, 8.9 assists, and 4.6 rebounds per game. Among the performances was the first triple-double by a rookie in Hawks history. Contenders sets are known for the Rookie Ticket Autographs. Their on-card signatures only enhance the collector appeal. 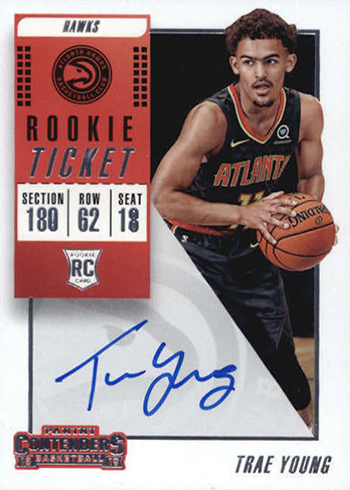 This particular Trae Young issue is not easy to come by, as hobby boxes yield only two autographs per box. It has quickly doubled in price, selling in the $125-$300 range with Gem Mints at $400 and higher. 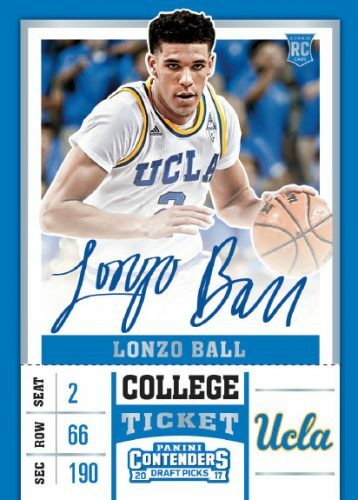 Card #10 card on the Beckett Basketball Hot List has experienced a dramatic price uptick since its initial release. 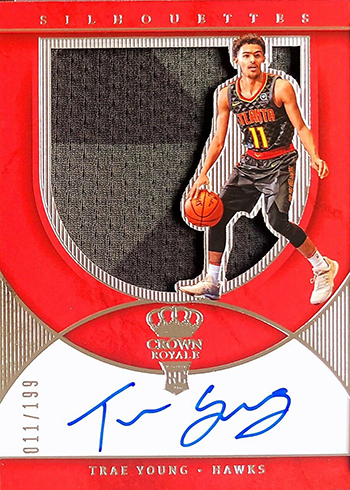 Currently valued at $60-$150, the Crown Royale Rookie Silhouettes is one of just a few serial numbered Young cards so far with an on-card signature and oversized jersey swatch. The newly released 2018-19 Select Basketball is proving to be a popular brand, with Rookie Jersey Autographs among the sought after inserts. 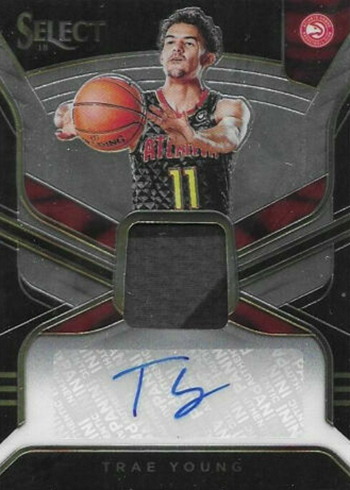 Serial numbered to 199 with a sticker signature, this Trae Young is selling strong right out of the gate, trending in the $50-$120 range.